Eeeek! It’s here! It’s here! This is the gorgeous face that Riverhead has given my book. I am in love with it. Out 5/29. 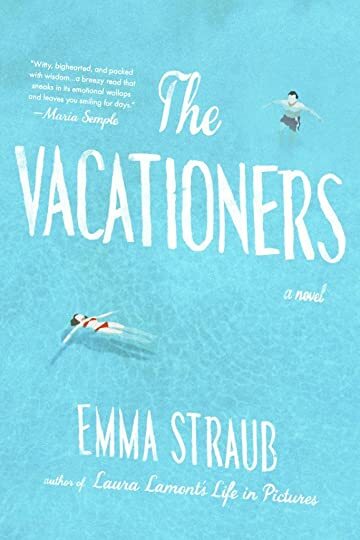 Goodreads just suggested that I suggest The Vacationers to you ;) Made me laugh! Loved the book!! The cover made this book irresistible. I tried to resist but couldn't. I bought it. It feels like a fashion accessory, it's so gorgeous. But the best part? It's laugh-out-loud funny, and Straub, your way with words is totally exciting and makes me envious. I'm truly enjoying this book, and so I bought the equally gorgeous Modern Lovers as well. :) Thank you! !